Beau Shell and students from the PR Campaigns class worked together to revamp his website for his business, Lil' Ice Cream Dude. When he was just eight years old, Beau Shell knew he wanted to start a business. Now 14, he couldn’t have imagined what was in store for his ice cream business six years later. Beau, a freshman at Cedar Shoals High School, was the recipient of the Young Entrepreneur Achievement Award and was honored by the U.S. Chamber of Commerce in Washington, D.C. in October. To apply for this award, Beau, also known as Lil’ Ice Cream Dude, and his mother, Vickie, who helps him with his business, had to fill out a long and thorough application. “I really didn’t think much about it …. it was just so hard, [but] he ended up winning,” Vickie Shell said. 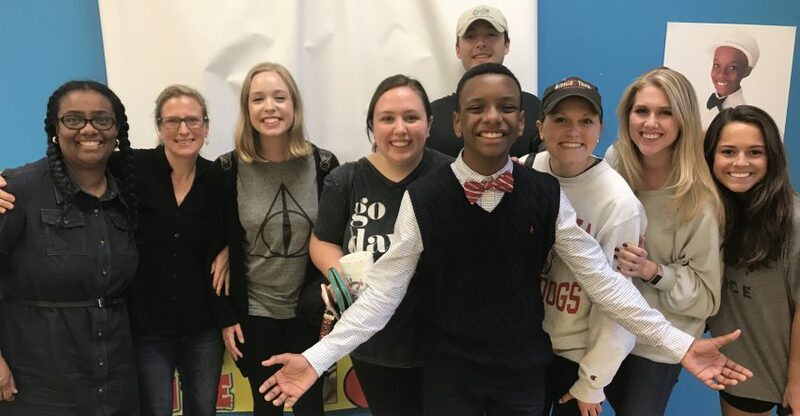 As part of the application process, Beau revamped his website with the help of public relations students in a Grady College public relations campaign class last spring. Kaci Pollack, one of the students who worked on Beau’s website, learned valuable experience from working with a client prior to graduating. “Working with Lil Ice Cream Dude during my final semester of college was without a doubt the experience that most prepared me to enter the public relations industry with confidence,” Pollack said. “This project was real work for a real client. With that came real challenges but more importantly real reward as well. 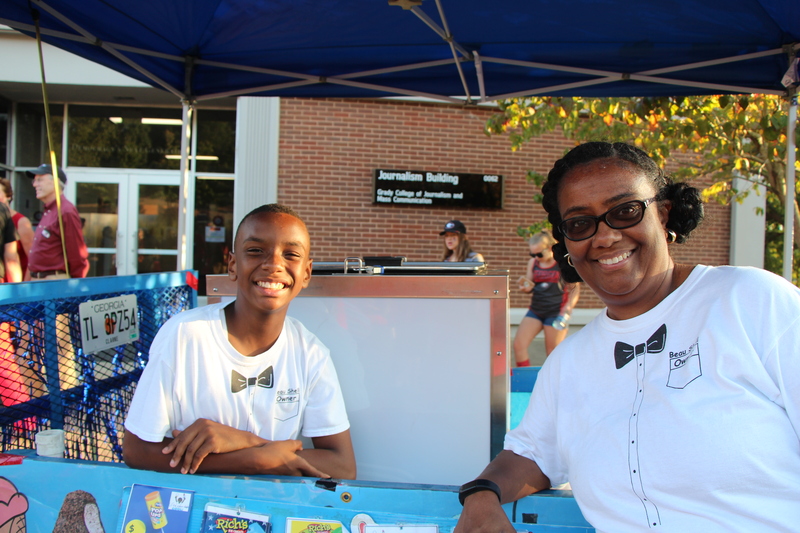 Guests of Grady’s 2017 Homecoming tailgate were treated to ice cream from Lil’ Ice Cream Dude and his mother, Vickie Shell (ABJ ’89). Beau’s business started when he asked for an ice cream truck for his eighth birthday — a request he wouldn’t let go until his parents obliged. Since then, Beau has attracted a large customer base, increased his revenue, written a book and become a member of the Athens Area Chamber of Commerce. He also has plans to open an ice cream shop on the Eastside of Athens. “We are very proud of him, and we’ve seen him grow physically from a little boy to being taller than me. But business wise, he has seven years under his belt, and his profit has increased two- or threefold,” Vickie Shell said. Maddie Jones, another student who worked on the website, enjoyed learning about and working with Beau.